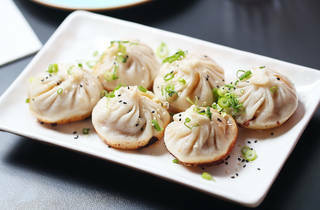 Until Tora Dumplings arrived on Brunswick Street, we didn’t realise that Fitzroy had been missing a dumpling house for years. 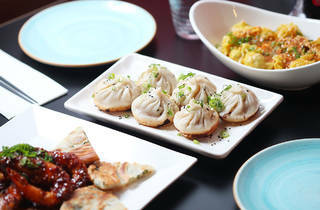 Sure, China Red offers some with their Chinese barbecue, and Ricky and Pinky do Hong Kong-style yum cha classics, but what we missed was a restaurant that revolves around Shanghai-style dumplings. 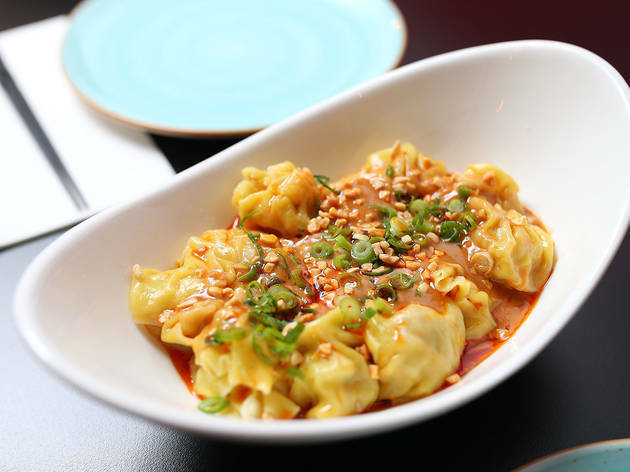 Tora is headed by an ex-Shanghai Street chef, but luckily people don’t seem to have cottoned on – the Fitzroy dumpling house isn’t yet plagued by peak hour queues like the ones that snake out of Shanghai Street’s restaurant on Little Bourke Street. 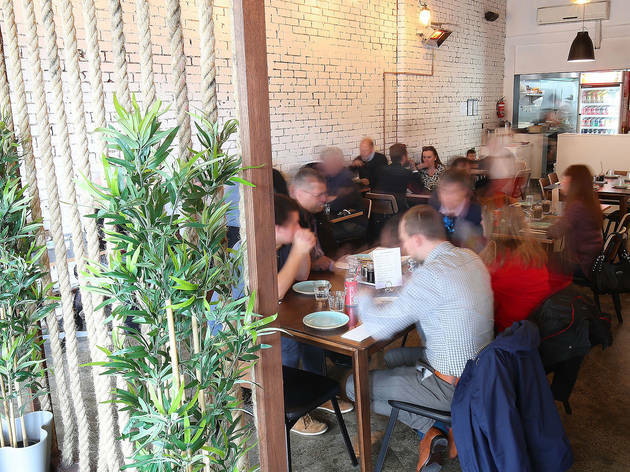 The fitout is rather barebones – the walls are nearly empty apart from some framed inspirational quotes and faux foliage – and you can see into the kitchen from the seating area. On quiet evenings, the hustle and bustle of food prep is your soundtrack. 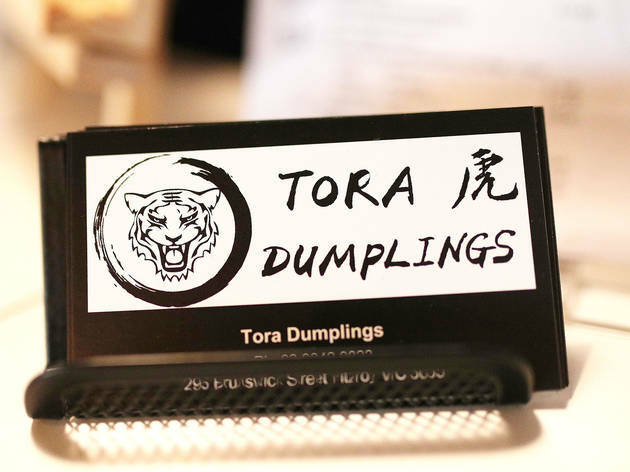 The menu at Tora is short by dumpling house standards but those in the know head straight for the house specialities, signified by the tiger logo next to the menu item. 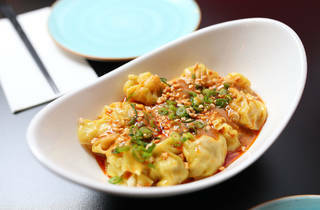 Do yourself a favour and order the pork and prawn wonton dumplings with a peanut and sesame sauce. The sauce is more like a smooth, slightly spicy satay than tahini, and coats the boiled wonton skins in a velvety nutty drizzle. The prawn is roughly chopped and adds a sweetness to the pork mince. If you’re disciplined enough to save some for a late night graze, take some home. The wontons are great served cold out of the fridge like they sometimes are in hot Shanghai summers. 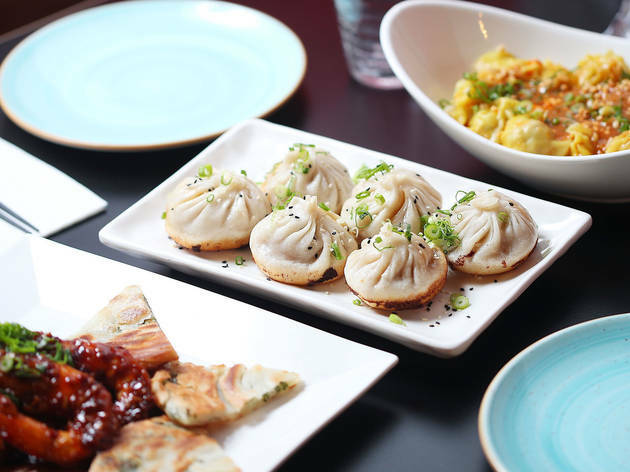 If you’re after something to go with your Tsingtao lager, order a plate of the mini fried pork buns. 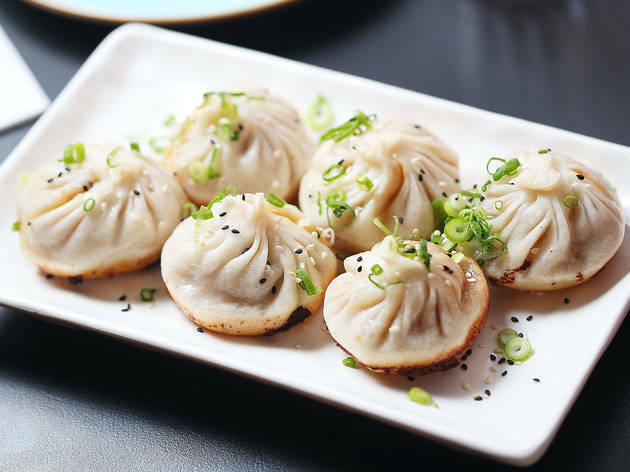 They’re a people pleaser: the salty pork filling has a smoky hint of sesame oil, and the buns are best where the dough touches the pan and turns into a crisp crust. 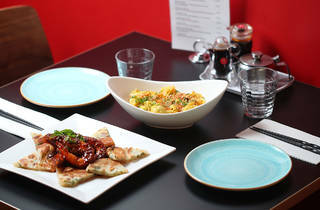 We’re also a fan of the spring onion pancakes topped with king prawns, swimming in a dark sweet chilli and garlic sauce. Bafflingly our xiao long bao, that hallmark of a good dumpling house, didn’t come with the non-negotiable burn-your-tongue soup. We’re willing to forgive the slip because even without the broth the dumplings ticked the flavour box with the springy pork mince that’s humming with a touch of ginger and garlic. 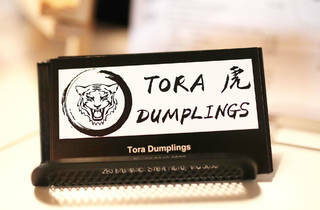 Unlike in many CBD dumpling restaurants, where efficient service trumps friendliness, the service at Tora is attentive and accommodating. 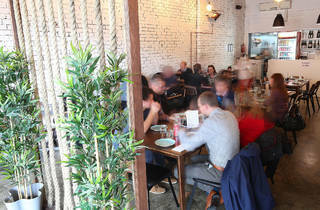 Unsure of what to order? They’ll happily guide you through the menu. 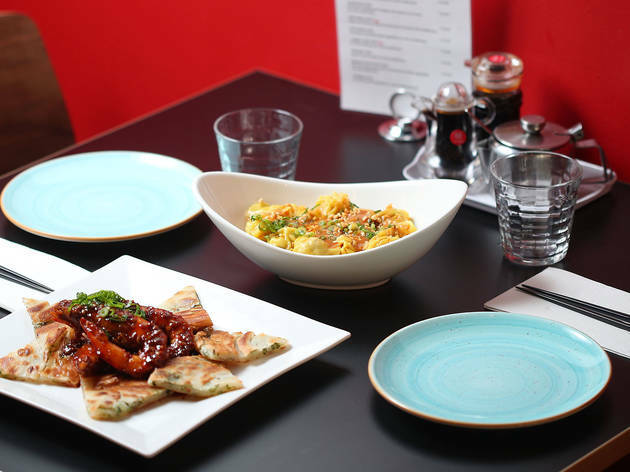 There’s also a chef’s selection menu, which will feed a group of two or more a generous feast including an entree, dumpling dish; main, noodle or rice dish; and a soup. The kicker is, all that will only set you back $22.